In 2008, under my occasional nom de guerre George Knight, I collaborated with Morgan “The Morgman” Holmes on “Conan the Argonaut” for the August issue of The Cimmerian, V5n4 — covering the idea that if he had lived Robert E. Howard could have taken his popular character Conan with him as he moved from the pulp pages of Weird Tales over to Argosy. Morgan and I had been discussing this radical issue at length, exploring counter-arguments and how to flatten them. He did the heavy lifting on pulp history (which is not to say that I’m not conversant with the subject), I did my usual juggling of the polemics and smoothing out of the prose to get the flow I prefer. The essay got edited around before it saw print, and in particular a bit I tossed in about Edgar Rice Burroughs dropped to the cutting room floor. I regretted seeing it go, but knew I could always use it again later — for example, right here, right now. 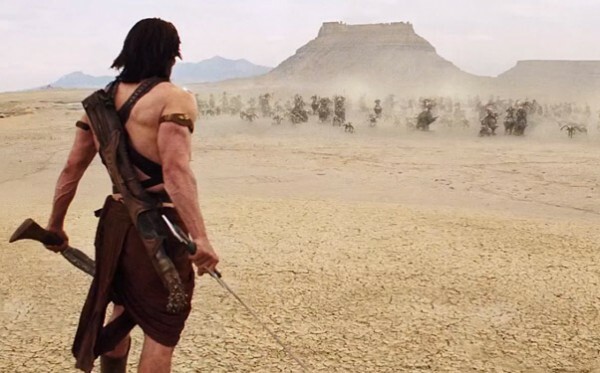 With the Disney film John Carter scheduled for widespread release in only three days, the time seems ripe to toss some commentary I made in “Argonaut” four years ago out into the blogosphere. In this selection you’ll also get some nice background on the pulp magazine marketplace which Burroughs stormed, first with John Carter of Mars, then with Tarzan, of the Apes. I’m copying the entire first part of the essay, but if you’re in a hurry, skip to the end. This appearance is straight from the word doc, and differs in various ways from the print version, but I’m only using slightly less than 1700 words, which is nothing — the final essay ran almost 14300 words. As the last year of his life dawned, Robert E. Howard of Cross Plains, Texas, stood poised to become a general wood pulp fictioneer of the highest level. Sales to the Fiction House magazines Fight Stories and Action Stories vied with continued appearances in his first marketplace, the niche publication Weird Tales. Howard had cracked the pages of Spicy Adventure from Trojan Publications as well as Dime Sports and Star Western from Popular Publications. Street & Smith featured his yarns in Top-Notch, Cowboy Stories and Complete Stories. Most promising of all, his editor at Fiction House, Jack Byrne, had just taken the helm of the prestigious pulp Argosy, flagship of the Munsey line. 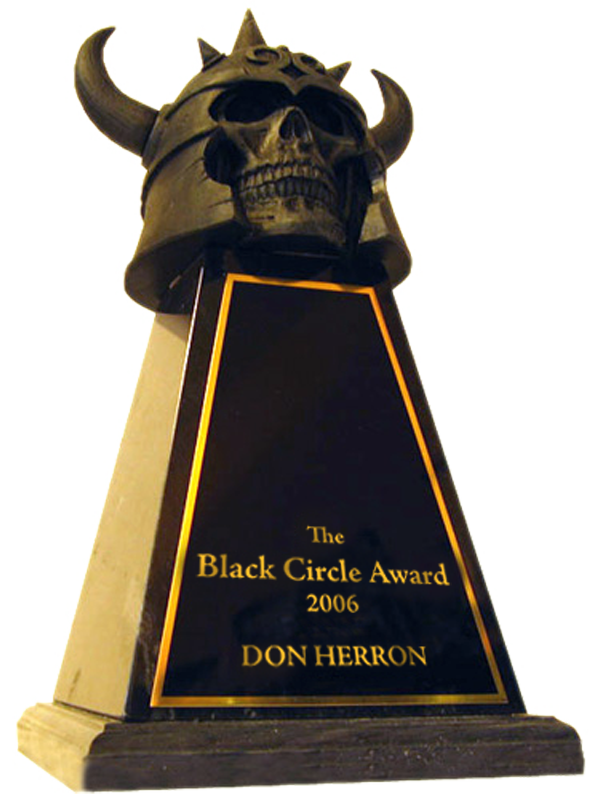 Among the many questions that have haunted the long decades since the thirty-year-old writer put the gun to his head on June 11, 1936, one remains perhaps the most answerable, and yet most contested: Would Robert E. Howard have taken his most famous character, Conan the Cimmerian, with him from Weird Tales to a new home in Argosy? the uncanny, appeared in March 1923 — Amazing Stories, the first magazine devoted exclusively to tales of science fiction, would not come along until 1926.
submitted it in January 1927. In 1928 Argosy was also his target for the King Kull vignette “The Striking of the Gong” — in 1930 his first submission of “By This Axe, I Rule!” featuring the beleaguered Valusian monarch went to Argosy, and as all Howardians know the bones of this tale became the frame on which the aspiring author hung the muscular flesh of Conan in a rewrite titled “The Phoenix on the Sword,” as the shadow of the Cimmerian suddenly swept over Cross Plains in 1932. Even as Howard emerged as a featured author in Weird Tales, he still sought publication in Argosy, submitting the Cormac MacArt story “The Night of the Wolf” in 1930. In 1931 we know that “Riders of the Sunset,” the Lovecraftian horror tale “The Thing on the Roof,” and “Spears of Clontarf” featuring Turlogh Dubh went first to Argosy. All were rejected. Howard’s continual efforts to crack this prestige market met with a solitary triumph in this period, when he placed the boxing yarn “Crowd-Horror” in the issue of Argosy for July 20, 1929. That was the dream Howard lived on as he sat for hours at the typewriter in his small room: to crack the pages of Argosy or Adventure, Blue Book or Short Stories, to move on to the slick, coated-stock pages of magazines such as The Saturday Evening Post, to see books with his byline reach print. . . .
serialization in The All-Story from February through July 1912 — mere months before Burroughs reached his thirty-seventh birthday on September 1 of that year. coincidence that Tarzan exited the century reduced to a cartoon. The geo-political reality of the African settings for the novels and attendant charges of racism leveled at the series obviously handicap Tarzan’s odds of remaining a viable commercial property outside of toned down kiddie venues, and more recent heroes such as James Bond and Harry Potter have taken over the box office. Still, if Tarzan is fated to become a dated icon from another century, who could doubt that a major new movie which successfully portrays John Carter swashbuckling his way across the Martian deserts would place Burroughs, yet again, at the top of the mass culture heap? AS FOR THE REST, pull your copy of The Cimmerian out of the files or track it down somewhere — I figure anyone interested in the pulps would enjoy reading it. The selection didn’t even get into the parts about H.P. Lovecraft, and so on. I figure I’ll go see John Carter soon after it opens, maybe even render an opinion. Even if the movie isn’t as great as it looks in the previews, nonetheless I am incredibly impressed that they managed to pull off the release on the centennial of the first appearance of John Carter in the pulps. One hundred years. Wow. I think I’m doing great if I can celebrate a twenty year anniversary. 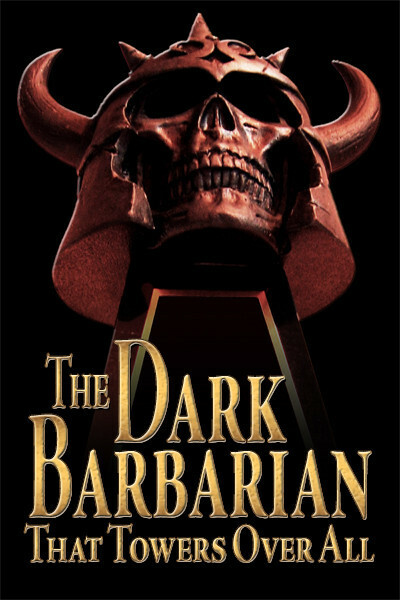 This entry was posted in Film, Lit, REH and tagged "Conan the Argonaut", Argosy, Edgar Rice Burroughs, George Knight, John Carter, Lovecraft, Morgan Holmes, Pulps, Tarzan, The Cimmerian, Weird Tales. Bookmark the permalink.